To display an image in your placeholder you must select either 'Picture form public URL' or 'Picture from SharePoint Online URL' as the type of your placeholder content. Additional, the content value field must contain an URL allowing the Add-in to fetch the referenced image to display it in the placeholder in the document. A typical scenario for showing images on documents or templates would be a company logo. In most cases, you do not just choose to display an image on a document or template but a set of data including an image. That is why in most cases images would be linked indirectly via a list in SharePoint. Create a «Document Library» in SharePoint for your images. Upload your images to that «Document Library». Create a SharePoint «List» for your company entries. Add all necessary columns to the «List» like «Address», «City», «Phone» and of course a column for the logo. That column needs to be of type «Hyperlink or Picture». Now create a record for each of your companies and copy the URL of your logo image you stored in the «Document Library» into the ‘Hyperlink or Picture’ column you created in your SharePoint «List». Use the «Designer» Add-in to create an «Input Field» that references your «List» you just created in SharePoint. 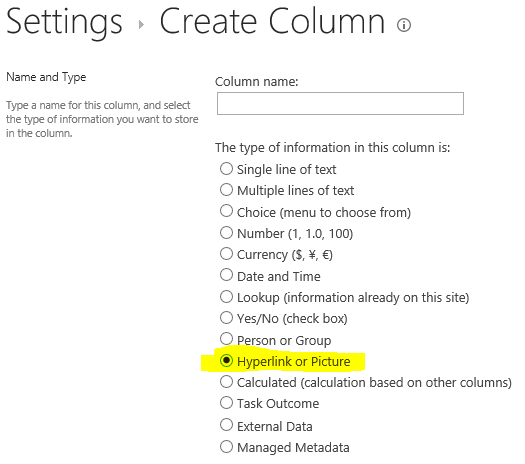 Then use the «Designer» Add-in to create a «Placeholder» of type «Picture from SharePoint Online URL» that references the URL of the «Hyperlink or Picture» column in your SharePoint «List». Finally, use the «Preview» button in the «Designer» Add-in to verify your work. officeatwork is a brand and/or a registered trademark of officeatwork AG in Switzerland and/or any other country. Other names and/or images of companies, products or services can be brands or registered trademarks of the acknowledged owner.